On October 4, 1957 at 10:28 Moscow time, a rocket carrying the world's first orbiting satellite roared into space, signaling a new era in human history and the beginning of the so-called "space race" - an epic rivalry pitting the technological know-how of the Soviet Union against that of the United States. Despite some highly publicized failures, the USA managed to answer the Russians with the successful launch of Explorer 1 in January of 1958. The next major milestone would be to put a human into orbit, a goal that defined the USA's Project Mercury. After a long series of test launches including a sub-orbital flight with the chimp Ham on board, Mercury astronaut Alan Shepard became the first American in space. In just two-and-a-half years, beginning in 1964, two unmanned and ten manned flights took place in the Gemini program. This program was the turning point in the space race with the USSR; from then on the Americans took the lead. Flights lasting two weeks, into the Van Allen Belt, the first extravehicular activities, rendezvous maneuvers and docking with other spacecraft―all of this was achieved by Gemini, paving the way for the more demanding moon landing program. It was not all success, however. Like almost every significant undertaking, Project Gemini also had its dramas and tragedies. All Project Gemini missions are discussed, including details on allcraft and the astronauts involved. Superb color, archival images,cutaways and plans are also included. Just ten days after Alan Shepard Jr. became America's first man in space on May 5, 1961, President John F. Kennedy challenged the nation, suggesting that the United States should land a man on the moon by the end of the decade. 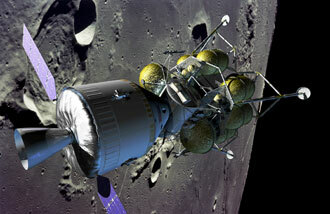 The ambitious goal of Project Apollo required a series of intermediate steps, which were to be explored by Project Gemini. Created on January 3, 1962, Project Gemini's objectives were many. During ten manned flights in 1965 and 1966, astronauts would perform spacewalks, rendezvous with orbiting vehicles using maneuvering and propulsion systems, and perform docking tests. A chronology of U.S.-Soviet cooperation in space travel during the first 3 decades of human spaceflight (1961-1992) that tracks both successful and unsuccessful attempts at cooperative programs. For example, the Apollo-Soyuz Test Project (ASTP) is covered, but so too are discussions of Salyut-Shuttle missions, which ultimately did not occur. 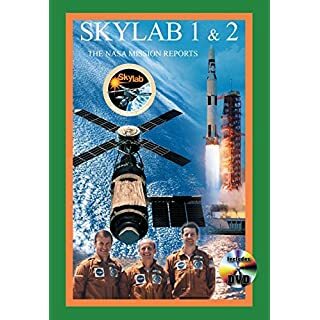 This expanded edition includes NASA press releases relating to ASTP as well as other U-S.-Soviet space efforts since then, such as Mir-Shuttle missions and tests of a prototype Soviet Mars rover, since then. Includes a bibliography drawn to all space cooperation and topics relevant to the discussion thereof.